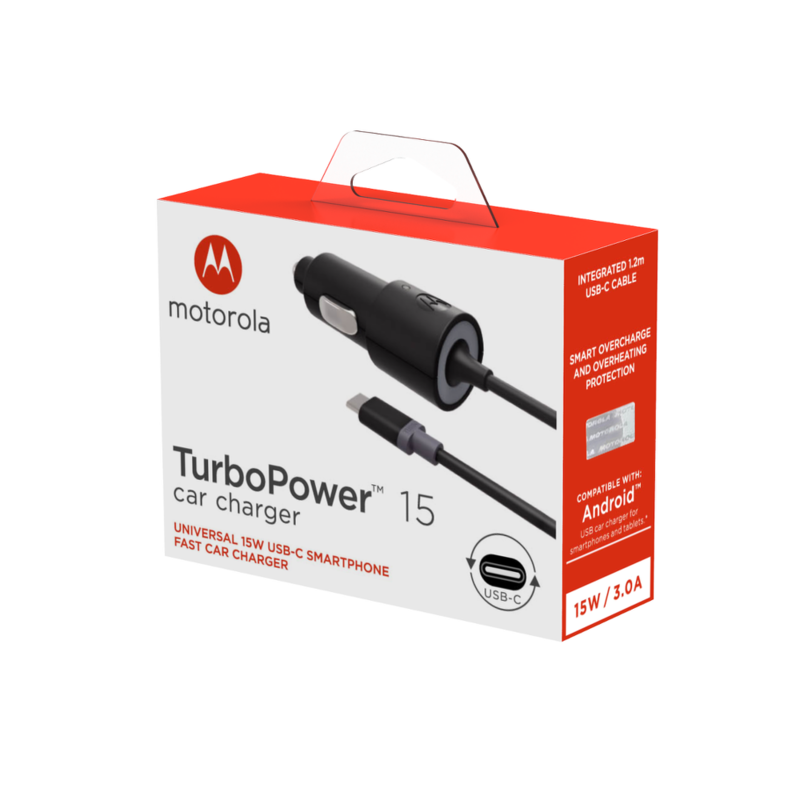 The TurboPower 15 car charger will charge your device exceptionally fast and keep you going all day. * It is compatible with USB-C PD-2.0 enabled smartphones and tablets, including the Moto Z family of phones, Moto X4 and Moto M.
No. This car charger comes with a USB-C attached cable, so it is compatible only with the USB-C devices. Yes. These phones have USB-C charging ports. The charging rate depends on the phone's ability and how full the battery is. Charging rate reduces as charge levels become full to protect battery life. No. Moto G6 play, G5s plus , G5s, G5 plus, G5, G4 plus, G4, Moto X pure have micro USB ports and this car charger has USB-C plug. Please use Motorola car charger that has micro USB plug. This car charger works in a 12V cigarette lighter socket. It provides 5V/3A USB-C output. Please make sure your device can accept the USB-C plug since this car charger comes with USB-C plug.